Every year, hundreds of thousands of Americans undergo weight loss surgery. If you're considering joining this group, it's important to understand your options. Keep reading to learn more about the different types of Columbus, Ohio weight loss surgery that you can choose from. Why would someone choose Columbus, Ohio weight loss surgery? Can't they just use traditional weight loss methods like diet alterations and exercise? It's also important to note that surgery can also be more effective than other weight loss methods. One of the main reasons for this is the fact that it's more difficult to gain weight back after surgery. Weight loss surgery improves your metabolism and ability to digest food. It also changes the structure of your digestive tract and makes it harder for you to overeat, therefore decreasing your chances of regaining weight. Who Is a Good Candidate for Weight Loss Surgery? If you meet any of these criteria, you could benefit from weight loss surgery. Now that you know more about the benefits of Columbus, Ohio weight loss surgery, you may be wondering what your options are. The roux-en-y gastric bypass surgery is a very popular weight loss surgery procedure. The majority of people who undergo this particular procedure see major weight loss results. They typically lose about 70 percent of their excess weight in the two years following their surgery. During the roux-en-y gastric bypass procedure, a surgeon will split the stomach into a larger portion and a smaller portion. The smaller portion is then sewn or stapled to make a pouch that holds about one cup of food. After the stomach has been divided, the surgeon will disconnect the smaller portion from the larger portion and beginning of the duodenum (beginning of the small intestine). They'll then connect that portion to another part of the small intestine known as the jejunum. This process causes food to bypass the duodenum, which curbs the absorption of nutrients and calories. Gastric banding -- also known as a lap-band procedure, bariatric surgery, or the band -- is another popular form Columbus, Ohio weight loss surgery. This procedure involves decreasing the stomach's overall size by placing a silicone band around the upper portion. The band placed around the stomach has a tube attached to it. This tube features a port that the surgeon uses to inject a saline solution and inflate the band. The surgeon can also adjust the inflation to alter the amount of constriction around the stomach. Gastric banding works similar to roux-en-y gastric bypass -- it shrinks the stomach to limit the amount of food it can hold at one time. This reduces hunger and helps a person lower the amount of food they consume. Although the procedures are similar, many surgeons believe gastric banding is preferable. This is because it does not come with any malabsorption issues. Food is absorbed and digested normally. Vertical sleeve gastrectomy (also known as VSG) was developed in 1993 but didn't become popular until the early 2000s. The vertical sleeve gastrectomy involves the removal of between 75 and 85 percent of the stomach. A surgeon does this by cutting away part of the stomach and creating a thin sleeve that takes its place. This procedure is an effective weight loss option for two reasons. First, it reduces the stomach's size. As a result, patients get fuller faster and are more satisfied with smaller meals. The vertical sleeve also affects patients' appetite on a physiological level. The part of the stomach that is removed during surgery is responsible for creating a hormone called ghrelin. Ghrelin triggers the brain's hunger center. As a result of decreased ghrelin production, patients experienced reduced hunger sensations. Like gastric banding, VSG does not affect nutrient absorption. This is because the gastrointestinal tract is not absorbed during the procedure. Biliopancreatic diversion with duodenal switch is considered the most effective type of weight loss surgery. 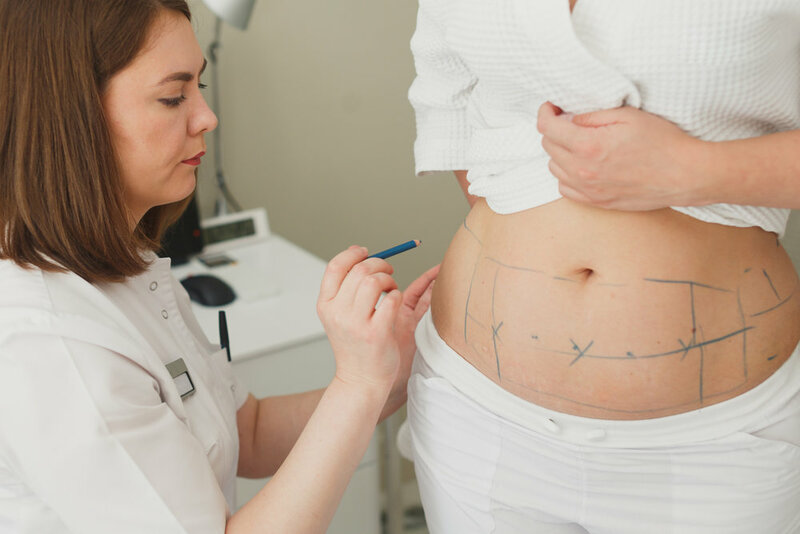 The most recent research shows that, on average, patients lost 73 percent of their excess weight within two years of having the procedure performed. This procedure is similar to a sleeve gastrectomy, as both procedures involve removing a significant portion of the patient's stomach. But, the biliopancreatic diversion with duodenal switch comes with an additional component. After a part of the stomach is removed, the surgeon will bypass the small intestine. They do this by dividing the duodenum and connecting the last portion of the small intestine with the shrunken part of the stomach. The result allows food to bypass approximately three-fourths of the small intestine and be emptied directly into the last segment. The surgeon also reconnects the bypassed small intestine to the last portion of the intestine. This ensures that bile and pancreatic enzymes are able to mix back in with the food stream. The biliopancreatic diversion with duodenal switch is highly effective. But, since food does not mix with enzymes and bile until it travels far down the intestine, calorie and nutrient absorption is significantly decreased. The lack of absorption helps patients lose weight faster post-surgery. Now that you know more about your Columbus, Ohio weight loss options, are you interested in one of these surgical procedures? If so, contact Central Ohio Bariatrics today to schedule a consultation. We offer a variety of different weight loss surgery options and are fully staffed with a group of specialists who can answer all your questions. We've also fine-tuned our services to provide patients with an experience that they won't get from any other local program!